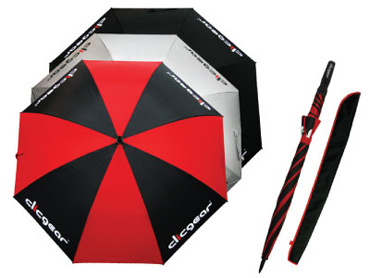 The Clicgear® Umbrella is our standard golf umbrella to fit perfectly with your Clicgear Cart. The Clicgear® Umbrella with a 68" over-sized double canopy, the Clicgear Umbrella is designed to give maximum protection. 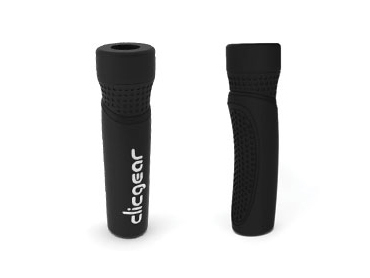 Custom molded handle designed to fit perfectly in all Clicgear umbrella holder systems. The Umbrella is made with waterproof and clear UV coated nylon. It’s perfect for the sun or rain and fits all models of Clicgear Cart, as well as most other brands of golf push carts with umbrella holders.